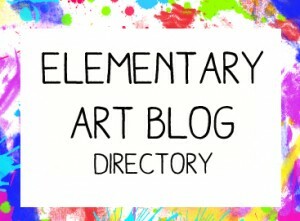 tinyartroom | BIG art in a tiny room! We got a jump on February and celebrating Black History Month with this collaborative project. Students looked at this article on Beanz (a magazine for kids, code, and computer science) about Katherine Johnson, Dorothy Vaughan, and Mary Jackson the ladies also known as The Hidden Figures. They are all mathmeticians, engineers, and pioneers who worked for NASA and helped pave the way for other women in math and science, especially women of color. We also watched this great video from Flocabulary and the kids loved it and even requested to hear it again before class was over. The project is a two class project and each student will be making a piece of a large poster that features the three Hidden Figures along with a quote from Katherine Johnson. I found this poster on Teachers Pay Teachers. Can’t wait to share the finished poster hanging proudly in the halls of our school! Im going to be honest, I’m doing this with first grade so I’m anxious to see the results of this color wheel. 🤷🏼‍♀️Let’s do this!! It went so well!!! They were excited and everybody’s turned out great. Next, we will add the petals, symbols for scholarship, friendship, and sportsmanship (my school’s motto). We will then put them all together to create the dragon! I tried to photograph the steps of making the head but I’m not sure how clear this is. I had to pretty much figure it out on my own just looking at the finished example on Arteascuola. Second graders are weaving and they love it! I found this excellent step by step tutorial over at ABC School Art. Can’t wait to share our finished pieces! Check out some of my students work! I first came across these brightly colored handprints on Instagram. @summitartists posted her results and they were just so eye-catching, I had to try them! My first graders loved the little video I found on YouTube about Andy Warhol and Pop Art. Click here to see! We also used the neon tempera paints and I turned on our black lights while they painted the back ground. They were completely amazed. The day we added the black handprints, I had a hand painting and printing table set up for four people. They took turns at that table and when they finished, they had some Lego centers, plus plus blocks centers, and a pop art color sheet option. Everyone remained engaged and worked cooperatively. I was super impressed to say the least. Man, blogging has become so cumbersome and time-consuming compared to using Instagram to flash-blog (did i just make up a new phrase?!) about an art project or summer camp or the amazing things we find in Bullseye’s Playground at Target (because, let’s be real, it’s not the dollar spot anymore). I feel I have gotten so behind this year on blogging but really, with moving to part time, I didn’t feel like I had as much to blog about. But then as I reflect on the last school year, I accomplished a ton of stuff with my kids. Many of our projects were much more involved and in-depth than projects I was used to doing on a See-150-kids-a-day schedule. I really enjoyed this focused energy and the freedom to not rush. It’s always been more self-imposed in the art room, I think, but you definitely feel the pressure to crank out some masterpieces. The kids feel it too and often want to rush through and move to the next thing. I know I’m not alone in this. 5th grade’s Thiebaud-inspired 2D pieces turned into 3D sculptures! I got to go to DC with my 8th graders and see beautiful art! We made Frida Kahlo memory boxes in our Dia de los Muertos after school class. And so much more. …Next year! My 6th graders have been working so hard on perfecting these two point perspective cities. When they were finished, they had to write a 6 word story to accompany their artwork. It was great to see some kids really flourish with the technical side of it.